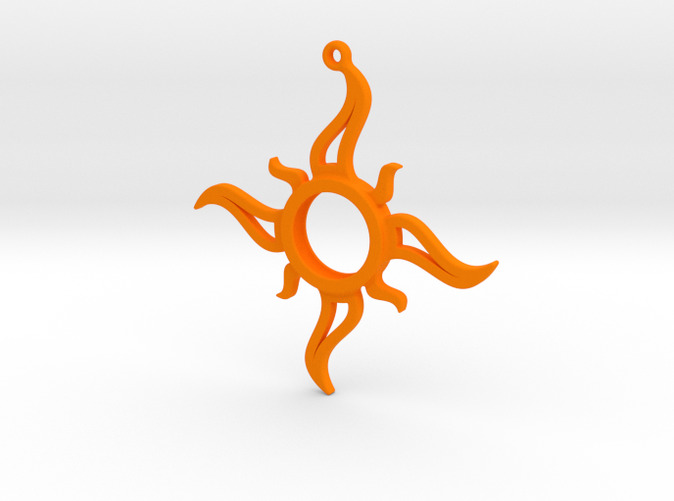 This is a fun little design that I made to get my start here on Shapeways. I have always enjoyed this shape and thought it would make for a great necklace pendant.The sun design was created using a few basic modeling techniques such as splines, axial patterns, and edge rounds. Since the sun rays taper out to nothing at the ends, I had to increase the rounds and thickness a bit to get more of the materials to pass. Now, this piece can be made in almost everything except for porcelain, colored sandstone, and frosted extreme detail.